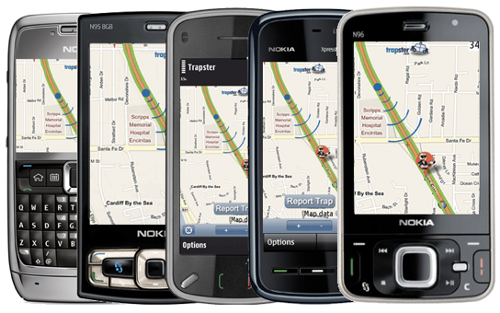 Trapster free download for Symbian s60 3rd and 5th edition. � Summary: Your mobile phone or navigation device alerts you as you approach police speed traps. � Added Nokia specific functionality for vibration and backlight. � Added feature to enable backlight continuously while application is active. � Removed "Switch Application" put to background menu item. Redundant with OS implementation. � Added touch functionality for S60 5th Ed. � Various minor bug fixes and performance enhancements. When you see a trap, report it by pressing a button on your phone, or calling a toll free number. Other user's phones will alert them as they approach the trap. Trapster learns the credibility of traps based on how many users agree. It also learns the credibility of each user, over time. So how does it work? Our goal is to make it so simple that you don't need to know. But in case you are interested, it combines technologies such as GPS and wireless location, voice transcription, geocoding, reverse geocoding, and SMS, with a central database server. It communicates in real time, using the Internet. Even the latest, most expensive radar detectors are useless against modern police enforcement technologies such as instant-on and and laser. Your radar/laser detector will still beep, but in almost all cases, only after it is too late. The only way a radar or laser detector can help you is if it beeps in time for you to slow down before the officer gets a reading on your speed. With instant-on and laser, this only happens if the officer activates early or "misses" the shot, and some of the signal leaks past a car in front of you. Radar detectors are still effective for more traditional (Ka etc.) band radar. 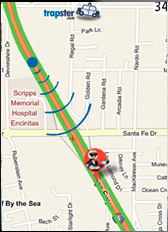 We recommend that you use both Trapster and a radar/laser detector for the best possible coverage. Also radar detectors are illegal in many US states, and are illegal nationwide for commercial vehicles. Police are not stupid. They change the locations where they set up speed traps many times per day. Only real time data is useful. Trapster data is real time data. Speed trap location data is only useful if you can actually use it. You can't just look on a map and memorize all the trap locations. Trapster continuously communicates with your mobile phone or connected device (for example the Dash Express or CarPC). Data is never stale. And it's FREE. What about my Garmin/TomTom?. After about a gazillion of you (our users) asked for Garmin / TomTom support, we implemented it! We have done our best to simulate real time data. Sign up and check out our innovative approach to setting areas, times, days, and alert types of interest, and for automated notifications! Don't I need a bunch of users in my area before Trapster is effective? No. Obviously the more users in your area, the better, but you only need a few active users in your area for Trapster live police reports to be effective. Get some friends to sign up! Why not? It's FREE! If you don't have any friends, we are very sorry to hear that, but the good news is that you can still set reminders about hiding spots or photo enforcement points for yourself, even if there are no other users in your area. Aren't there already Web sites that list red light camera and speed trap locations? Trapster isn't a Web site. It's a mobile phone application and real time speed trap sharing system that happens to also have a Web site. Could pranksters or even the police themselves come up with ways to trick the system? Of course. People can game eBay rankings or Google search ranks too, and they do. The algorithms are still useful and effective for the majority of users, the majority of the time. As far as Officers - they are way too busy to go to all that trouble. They don't take it nearly that seriously. Isn't this fundamentally wrong or illegal or something? If you are concerned you should probably check the laws in your state or country, but our lawyers don't think so. In fact, the police we've spoken with actually like the idea. It beeps, people slow down, they have met their objective, you save money on the ticket and insurance, and everyone is happy. The police can always find plenty of other people to issue violations to. People who don't use Trapster, that is. As far as the ethics of it all: Speed limits are listed as fixed, but enforced as guidelines. Here in Southern California where we are located, traffic never moves at or under the speed limit. This means good-intentioned drivers often end up not only with a ticket, but confused and angry about why they were chosen. Unfortunately speed traps are sometimes created and enforced as intentionally deceptive revenue generators, but this is the exception rather than the rule. We think most police just want you to slow down. You can either have them pull you over to tell you that personally, or allow your phone the chance to save them the trouble. 2) Allow the program to install, and then exit the mobile browser. 3) Go to the Applications or Games or similar folder, and then find the Trapster police car icon. Click on it. 4) Enter your Trapster user name (not e-mail address) and password. Your Trapster username is listed above the blue account links box to the right on this page. 5) You can receive alerts, and report trap locations, only after Trapster� determines your current GPS location. You will see a "Searching for Location..." message on the map if your location has not yet been determined. 6) If there are traps near your current location, they will appear as icons on the map. You can click the icons to get more information about each trap, such as who reported it, when it was last reported, etc. 7) You can report traps at your current GPS location using the shortcut keys (see list below*) or the corresponding menu items. You can also adjust the position of the trap using the trackball and the map. 8) There are four types of alerts: live police, red light camera, speed camera, and usual police hiding place. For each type of alert, a corresponding audio file will play. 9) You can customize your alert radius, audio, and other preferences using the Settings menu on the mobile. You can configure more advanced settings such as Trusted Groups and what kinds of traps you want to be alerted about on your account on the server here. Notes: Please plug your car charger into your phone while running these apps (GPS consumes battery life)! If your phone does not have internal GPS, you will need to purchase an external Bluetooth GPS accessory. Even if your phone does have GPS, you may want to consider the external Bluetooth accessory. We find that the external accessories get a better signal, even sometimes indoors, are much faster to acquire a GPS fix, and have much longer battery life. where i will find the username and password? Is there a way to cancel a police trap location? These guys usualy dont sit 24hrs in one place... However, there should be a method to prevent intentional cancelations of a trap, in case there is a hacker-policeman with gps phone using this wonderful piece of software. No find TRAPSTER download with my N95 8GB. Hi. 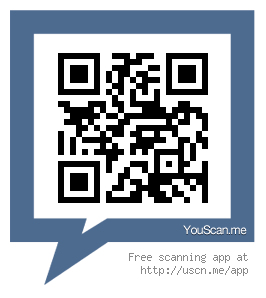 Were i find N95 8gb verification code? Thanks. I wait for your answer. It works wounders thanx 4 everything. how do i get the trapster dowloaded 2 my sanyo incognito phone it keeps sayin authentification code failure...what do i do? This trapster software is not compatible with my Nokia E5-00. I tried to download it and it cant install. What am I missing here? amin می‌گه:salam. zemne tashakor khtasam begam man in file 46 mb ro download kardam, ama bad az extract file hajme file ro ke negah mikonam sefr bite hast. folder ro ham jaygozine dickcache kardam ama naghshe hayi ham ke rooye barname neshoon midad dige neshoon nemide. yani dar vaghe dige hich naghsheyi neshoon nemide. khtasam mano rahnamayi konid.